So, you’re contemplating the low FODMAP diet, are you? Perhaps you’ve done a little reading on the web and found that it can be helpful in sorting out the digestive woes related to Irritable Bowel Syndrome (IBS). You’ve maybe even found some food lists or downloaded that Monash FODMAP app already. You feel like you’ve got a pretty good understanding and are ready to delve into the elimination portion of the diet. There’s something very important that you need to do before all of this. 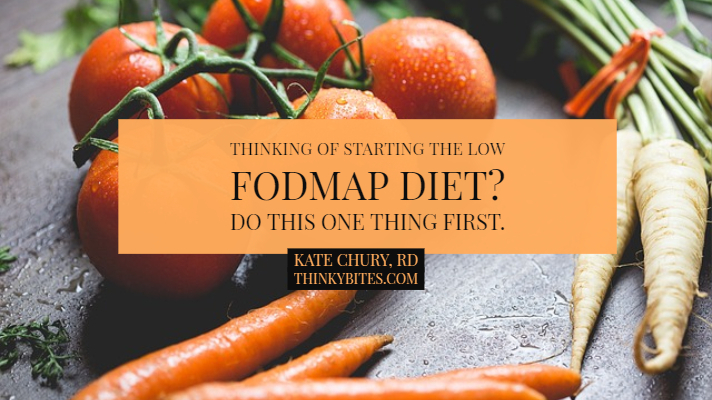 Something that needs to be done before you even think about starting the Low FODMAP Diet. While prepping yourself beforehand is key to being successful at the Low FODMAP Diet, the one thing that I want you to do even before any of the prep work, is getting a thorough work up by your doctor. Why is this? Well, I want to make sure you have IBS and not some other condition like celiac disease, inflammatory bowel disease, endometriosis, or even colorectal or ovarian cancer. These conditions can have overlapping symptoms with IBS and starting the Low FODMAP Diet without ruling out other health conditions could mask symptoms and delay a proper diagnosis. Getting a timely (and accurate) diagnosis for whatever condition you have helps ensure that you’ll get treated correctly. Take celiac disease, for example. If you have undiagnosed celiac disease and start the Low FODMAP Diet you will likely start to feel better. This is because a lot of gluten containing foods also contain FODMAPs. This means, by default, excluding high FODMAP foods will lighten your gluten load and you’ll feel better. That being said, it’s important to note that a Low FODMAP Diet is not a gluten free diet, it just tends to be lower in gluten. So if you have celiac disease you’ll likely feel a bit better following the Low FODMAP Diet but you still could be exposed to low levels of gluten. This gluten exposure will continue to cause intestinal damage putting your at risk for nutritional deficiencies (including iron deficiency), osteoporosis, infertility among other things. This is why it is so important to rule out other health conditions and have a diagnosis of IBS before you start the Low FODMAP Diet - eliminating foods may mask serious health conditions and delay proper treatment. If you’ve had some ongoing (and troublesome) bowel symptoms such as abdominal pain, excessive bloating, gas, diarrhea and/or constipation, it may be time to see a doctor for a thorough investigation. To get a diagnosis of IBS, your doctor must first rule out that nothing else is going on with you (i.e. no celiac disease, inflammatory bowel disease, bowel cancer). If all other investigations come up negative, then you doctor will use the Rome IV criteria (2016) to assess whether your symptoms are in line with that of IBS. If you fulfill this criteria, your IBS will further be classified into a subtype based on your bowel movements and the Bristol Stool Chart (see below). > 25% bowel movements Bristol Stool category type 1 or 2 and < 25% stools type 6 or 7. >25% bowel movements Bristol type 6 or 7 and < 25% stools type 1 or 2. >25% bowel movements Bristol type 1 or 2 and >25% stools type 6 or 7. Individual meets IBS criteria but bowel movements can’t be accurately categorized. The Low FODMAP Diet is a long and involved process. It starts off with an elimination that lasts 2-6 weeks, in which high FODMAP foods are restricted. After the elimination period, and when IBS symptoms have subsided, there is a slow and methodological process of testing each different FODMAP group. This “rechallenge” phase takes 6-8 weeks. After these two stages, there is also an “adapted FODMAP phase”, in which non-offending FODMAPs are added back into the diet and the FODMAPs which cause problems are either avoided or restricted to small portions. As you can see, it’s quite the process and if the Low FODMAP Diet isn’t actually what you need, it would be a shame to put yourself through it, don’t you think? It’s much better to get an accurate diagnosis and proper treatment for whatever it is that is causing your digestive woes. Do you have a proper IBS diagnosis? 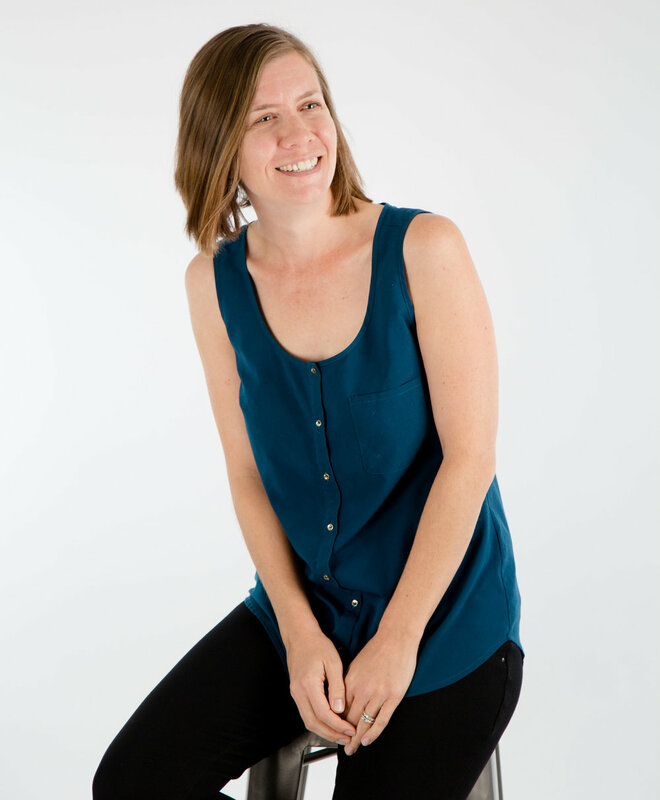 Feeling ready and prepared to proceed with the Low FODMAP Diet? Go for it! However, if you are feeling lost and overwhelmed with all the FODMAP information out there, talk to an experienced Registered Dietitian to guide you through the diet with confidence. It should also be noted that although the Low FODMAP Diet was originally researched with respect to IBS, there is some evidence that it may improve some symptoms in Inflammatory Bowel Disease and Endometriosis. However, it is still important to get a proper diagnosis before you start any treatment, including changing your diet.